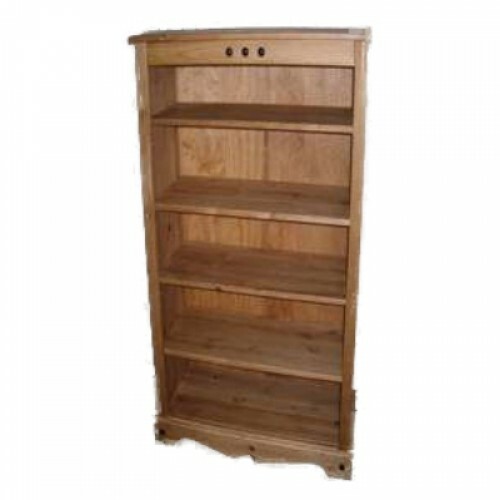 A very attractive Mexican Pine Bookcase made from solid pine. It has space for your books and/or DVD collection. It is sturdy enough to take the weight of books without the shelves bowing. There are 3 adjustable shelves, one fixed shelf plus the top and bottom. The product comes flat packed and has clear instructions to ensure easy home assembly.